Whoever thought that a doctors costume would look just as creepy on a child as it would on an adult? 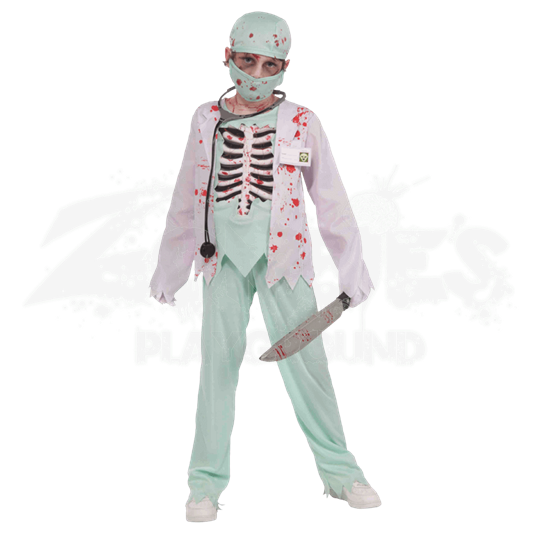 This Undead Doctor Boys Costume is a chilling sight that will turn an adorable little boy into a something out of a horror scene. 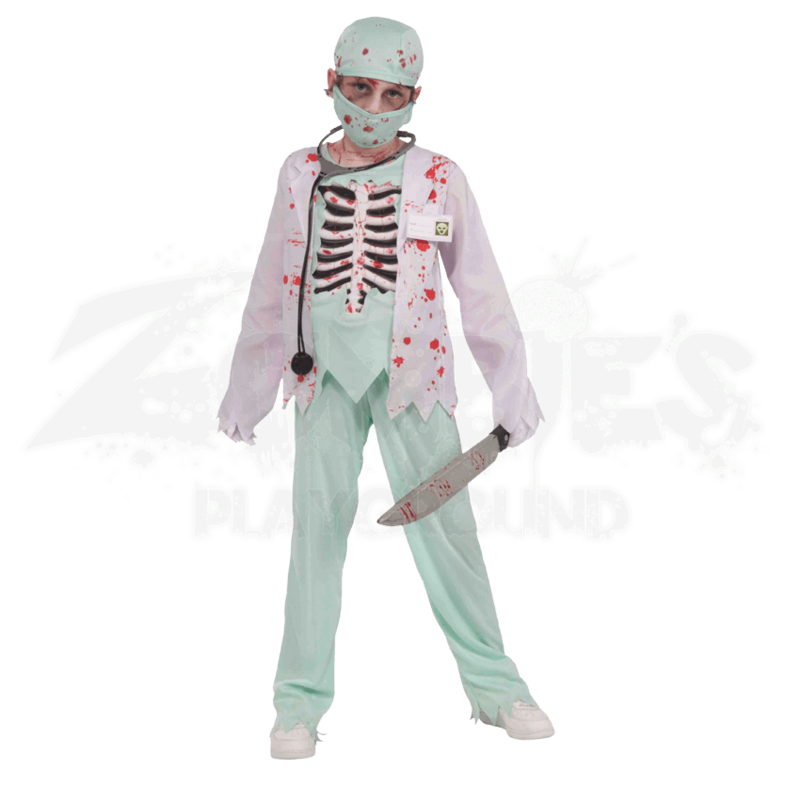 This eerie costume is the perfect way to transform your little boy into an undead ghoul, as well as a disturbing doctor that is bound to send chills down the spines of others. This costume consists of a classic doctors attire, including a doctors typical scrubs, white coat, mask, and cap. The shirt, pants, and coat all feature tattered edges, and the shirts torn away center reveals a skeletal ribcage that sits just underneath the shirt. Small spatters of blood act as subtle horror decoration across the surface of the costume. Please note that the costume is pictured above with a prop knife, shoes, and a doctors stethoscope, which are not included with the costume. The costume comes in two sizes, small and medium. Ghouls are creepy no matter what size they come in, and when your little boy puts on this Undead Doctor Boys Costume, you will see that even a little boy ghoul can be a true terror, so long as he is dressed properly.